Rust spores that land on wheat plants germinate and infect the plant withdrawing nutrients. Fungus tissue proliferates until the epidermis bursts and pustules erupt. Each pustule contains thousands of spores that can be carried by the wind to infect other plants. Stem rust damaged wheat crops on a massive scale in the early 1900s. However, resistance to stem rust was successfully incorporated into wheat in the 1950s. Resistance to stem rust in most breeding programs was through the use of a single resistance gene Sr31. In 1999, a new strain (UG99) was detected in Uganda on a wheat variety containing the Sr31 gene. 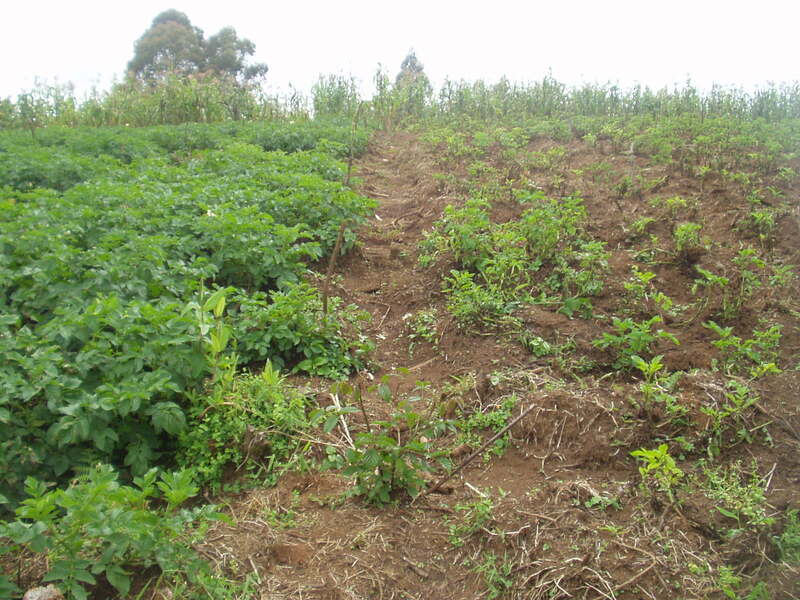 Yield losses of up to 80% were reported. Fungicide use became essential. “Stem rust, caused by Puccinia graminis, is a serious disease of wheat occurring frequently in warm and moist environments, which is typical of the wheat-growing areas in Kenya. 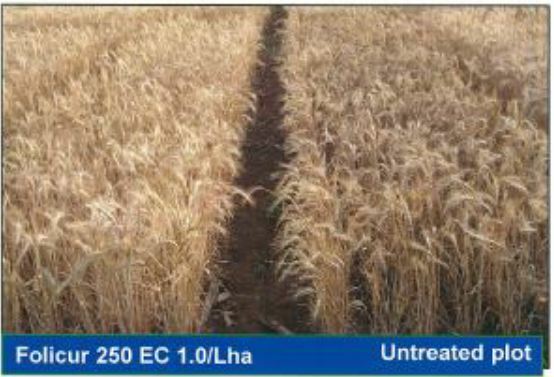 Although the disease has been under control through widespread use of resistant cultivars, the reemergence of a new virulent race, TTKS, has reversed the gains made by breeders, posing a new and significant threat to wheat in the Eastern Africa region. Authors: Wanyera, R., et al. Affiliations: Kenya Agricultural Research Institute. Title: Foliar Fungicides to Control Wheat Stem Rust, Race TTKS (Ug99), in Kenya. Publication: Plant Disease. 2009. 93(9):929-932.